Former CIA director Woolsey repeats his position that Jonathan Pollard should be released from prison, but doubts Obama will do it. Former CIA director James Woolsey on Wednesday repeated his position that Jonathan Pollard should be released from prison. Woolsey was repeating the remarks he made in a sharp letter last week to the editor of the Wall Street Journal. 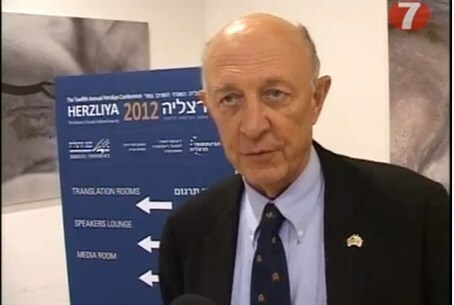 During the interview with Channel 10, Woolsey expressed doubt that President Barack Obama would release Pollard. He also said he doubted Obama’s determination when it comes to preventing Iran from obtaining nuclear weapons.